Even the smallest garden ponds will benefit from having plants, and luckily, there are many species perfect for smaller-scale. Plants play a critical role in healthy aquatic ecosystems and can benefit your water garden in many ways, whether it’s the size of a small water bucket or an entire lake! 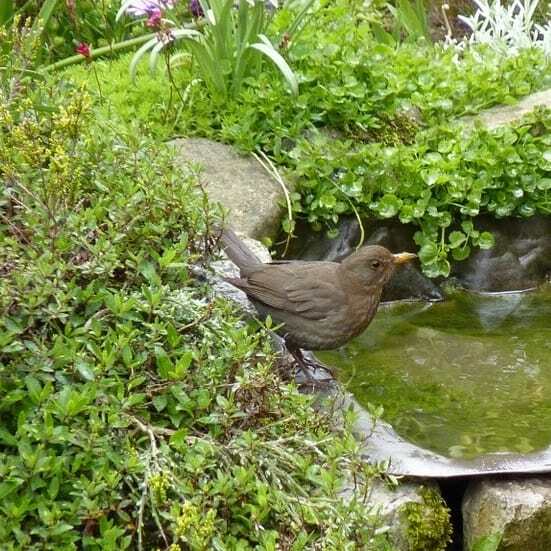 This article focuses on the former; that is, small ponds such as mini bowls, bucket ponds, patio ponds, and very modest water gardens which have limited space, but would still benefit from a range of easy to care for plant species. Although many pond plants tend to grow quite large, we’ve researched and chosen in this article some of the best smaller species perfect for smaller-scale planting. As well as looking great, these plants come with a huge amount of benefits to keep your little pond and native wildlife happy, so there is little reason not to include them! Why Are Plants Important in Small Ponds? Not only do plants add to the overall aesthetic, they also provide functions that would typically not be as efficient if replicated by other means. Perhaps most importantly, they oxygenate the water, which is in turn tied to many other things. Properly oxygenated water allows for the survival of fish and any other organisms that decide to visit or settle in your pond, however small it may be. As well as the water quality benefits, plants also help attract wildlife and provide a safe haven for vulnerable species. With the establishment of these critters, your pond can become a functioning mini ecosystem! They can help to control insect populations, feed on algae, and form mutualistic (that is, mutually beneficial) relationships with each other. For example, the relationship between fish and flowering plants – ponds that have fish tend to be surrounded by more flowering plants, and a greater diversity of them as well. This is because those fish feed on insects that would otherwise demolish the plants, thus allowing the plants to flower and other important insects, like bees and butterflies (both of which are declining rapidly worldwide), to pollinate the plants. This in turn assists in the survival of the pollinators as well as the plants! In addition, plants will help to control algae and phytoplankton by filtering any excess nutrients and pollutants that algae would thrive on, as well as shading the water and limiting the amount of light available to these potentially harmful microorganisms (please refer to our article that covers the types of microorganisms found in ponds to review which ones are considered harmful and helpful). Resultantly, your pond’s residents and visitors, be they fish, newts, salamanders, butterflies, birds, and so on, will benefit greatly, in turn attracting other organisms and wildlife that can turn your pond or water garden into a balanced, beautiful microhabitat. Regardless of your pond’s size, there are plants that are well-suited to live in and around it. The four main groups of aquatic plants are bog, marginal, floating, and submersed. Here we will cover the latter three as well as their suitability for both small (less than 500 gallon) ponds as well as mini-bowl (less than 100 gallon) ponds. Dwarf water lilies do best in anywhere from 1 to 18 inches of water, and can be white, pink, purple, yellow, or some combination thereof. They look almost exactly like standard water lilies, but are obviously much smaller with leaves and blooms that are only a couple of inches across. Their rhizomes are quite delicate and fleshy, so they shouldn’t be planted in stones that could harm them. These fragile rhizomes do, however, make dwarf water lilies very easy to trim back if they start to multiply too much for your liking or take up too much space in the water. They do best in full sun to partial shade. 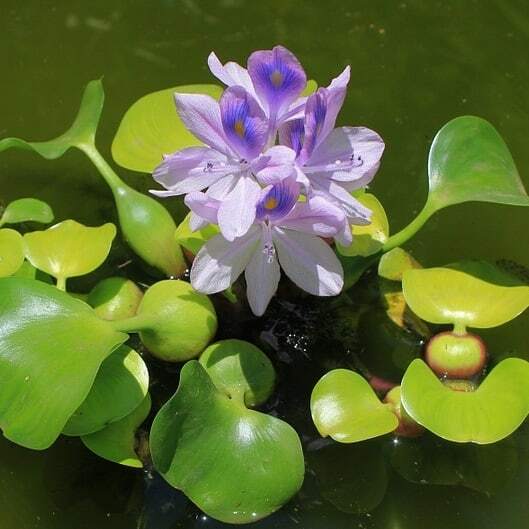 One of the most popular and easy to grow floating plants, water hyacinth is able to adapt to just about any size ecosystem that it’s in, able to grow to only a few inches in height and diameter or closer to a meter. They have gorgeous, eye-catching lavender colored flowers and glossy, broad leaves. The ease with which they grow and adapt is both a boon and a burden – they can grow quickly and overtake the water and other plants, but the perk of having a small pond or micro-bowl is that it’s quite simple to monitor this and keep them trimmed so that they don’t cause an issue. An added bonus is that water hyacinth is exceptional at filtering water, outcompeting algae for nutrients, and is also one of the most adept plants at removing excess nitrogen and controlling ammonia levels! However, it’s also an invasive plant in most areas, so make certain that you do not plant it if there is potential for it to spread outside of your pond or if it’s illegal in your area to have it. 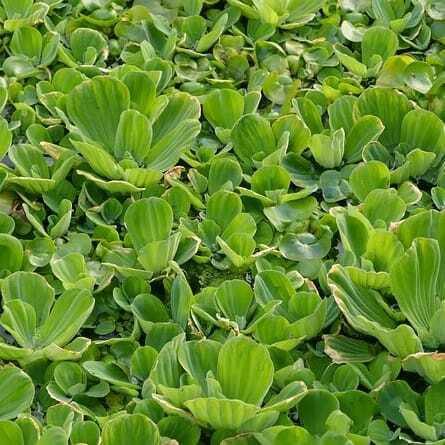 Water lettuce produces small leaves that develop into a swirling rosette shape (hence the name “lettuce”), and like water hyacinth will grow to suit their environment’s size. Their roots provide food and spawning areas for fish, while their thick leaves add oxygen to the water and provide a charming floating aesthetic. It also grows quickly, and some of it will need to be removed from time to time to keep it in check. Start by planting a small cutting (with a stolon attached) and either letting it sit free floating in the water or anchor the stolon in some form of substrate. You can also simply plant a seed or two in the substrate. As with all marginal plants, corkscrew rush can exist either in shallow water or moist soil. It’s quite a unique little plant, smaller than most other rushes and with thin, green curly spiraling stems that will add some distinctive flair to your pond. This plant was derived from the soft rush (Juncus effusus), which can also be suitable for small ponds as well as micro-bowls, but soft rush is capable of growing several feet in height and so may need to be trimmed down, whereas corkscrew rush will tend to stay shorter due to its leaves growing in a curled as opposed to straight fashion. Sweet flag’s name was coined from the sweet, fragrant scent that it produces when bruised, cut, or otherwise damaged. With bright green and yellow grass-like leaves, this marginal plant makes a vibrant addition to any pond and can be grown in either small or large clumps, making it ideal for any pond size. However, it is important to note that some species of sweet flag are invasive to North America and Europe (only Acorus calamus and Acorus Americanus are known to be native to these continents), so be sure to choose these species over Japanese sweet flag species. There are also dwarf varieties available, which would be well suited to micro-bowls. Sweet flag can be planted in either full sun or partial shade. It’s obvious why creeping jenny is a favorite among pond garden owners – this small marginal plant likes to grow on rocks and logs, draping over them to flow on top of the water’s edge in a splash of bright green. It’s very low maintenance and grows to only 1 to 3 inches in height, and is unlikely to extend too far beyond the edge of the pond, so it won’t overtake other plants or crowd the water. If it does happen to grow too much for your liking, it’s very easy to remove. It’s also hardy, suitable for both cool (as low as 59°F) and warm water (up to 75°F). As its name suggests, cardinal flowers have striking, immensely vibrant scarlet flowers that will attract a large variety of pollinators and hummingbirds to your pond. Around small ponds, you can simply plant them in the damp soil right on the edge of your pond, and in the case of water gardens and micro ponds, you can place them in miniature pots an inch or two below the water’s surface. It does well in shady environments, though partial sun is fine, and will grow from 1 to 4 feet in height (so be sure to incorporate it toward the back of your water feature so that it doesn’t block your view of anything). It’s hardy, able to grow in climates as northerly as Canada and as far south as Columbia. Also known as elodea, anacharis is suitable for any pond size, large or tiny, so long as the water is at least a few inches deep. In the case of very small ponds, place them in small pots so that the plants remain small and don’t outgrow the pond. 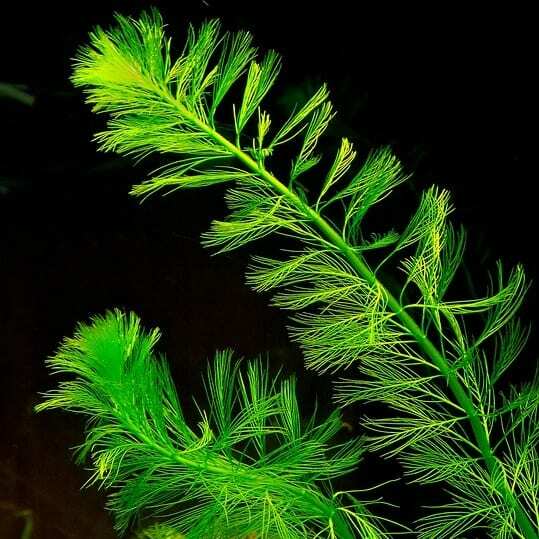 They have bright, feathery leaves that help to oxygenate the water and keep it clean, while also providing a favorite place for invertebrates and small juvenile fish, and produce tiny white flowers that float atop the water’s surface. These leaves will often extend to the water’s surface and spread out, so you’ll likely need to trim them back from time to time. A submerged free-floating plant, hornwort doesn’t have roots and can either be allowed to float about or anchored down. 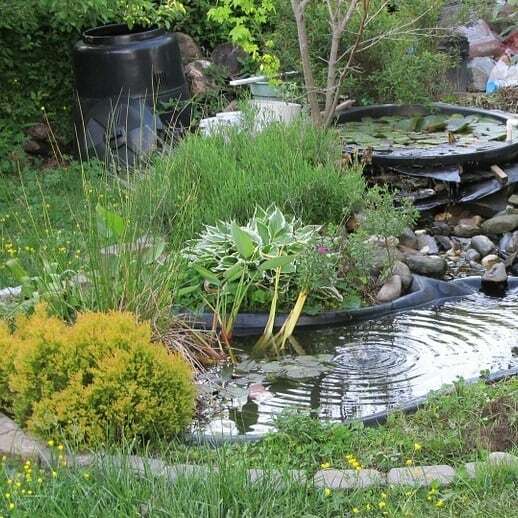 In the case of very small ponds, such as bucket ponds or bowl ponds, placing them in a tiny pot at the bottom of the water may work best – this will keep them from spreading in the tiny area. Hornworts, like most submerged plants, are excellent oxygenators and purifiers. In addition, hornworts and some other bryophytes secrete substances that inhibit algal growth, thus further aiding in purifying the water.